Getting a new job, recovering from an abusive relationship, engaging in new kinds of activism, moving to a different country—these are all examples of reasons one might decide to start using Facebook in a more private way. While it is relatively straightforward to change your social media use moving forward, it can be more complicated to adjust all the posts, photos, and videos you may have accumulated on your profile in the past. 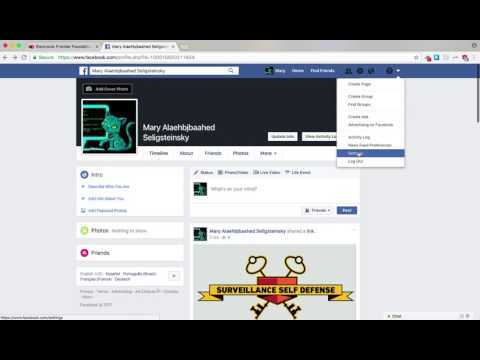 Individually changing the privacy settings for everything you have posted in the past can be impractical, particularly for very active users or those who have been using Facebook for a long time. The good news is that Facebook offers a one-click privacy setting to retroactively change all your past posts to be visible to your friends only. With this tool, content on your timeline that you’ve shared to be visible to Friends of Friends or Public will change to be visible by Friends only. And the change will be “sticky”—it cannot be reversed in one click, and would be very difficult to accidentally undo. Watch this video for a step-by-step tutorial to change this setting and make your posts more private. Finally, this setting can only change the audience for posts that you have shared. When others tag you in their posts, then they control the audience. So share this blog post and video with your friends and encourage them to change their settings, because privacy works best when we work together.